Mr. Hare’s SS12 collection entitled August is the final paragraph in the first chapter of the Mr. Hare story and what a story it is. 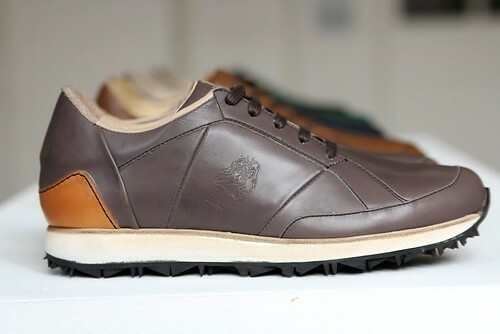 Conceived at a roadside tapas bar in the foothills of the Sierra Nevada Mountains, Andalucia, Spain July 23rd 2008, Mr Hare, the brand not the man, was born out of this shoe aficionado realisation that there just were not enough shoes in the world that he liked. Thankfully, for us he decided to do something about it. From this point it took a mere three hundred and sixty days for his creations to land on the shop floor at Dover Street Market. This whirlwind of success has since seen four more collections, all of have deservedly received widespread acclaim and resulted in an ever increasing stockist list. Mr. Hare is a work in progress. A stunning work that just gets better and better. From season to season there is is constant evolution and revolution. 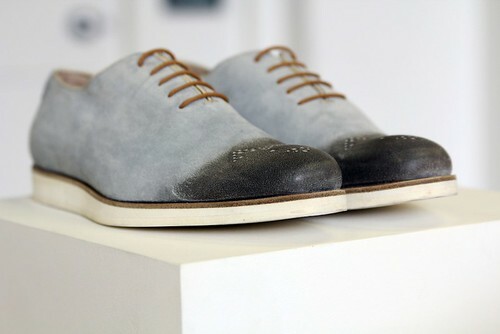 The debut collection was all about making the shoes that he had never quite found in his life, killer evening shoes that could be worn through the day as well. The sophomore collection was concentrated on looking fly whilst kicking it on the equator. The third crossed the English Channel for inspiration and focused our attention on Paris and the French New Wave Film movement. In Ain't no App for That, Hare showcased shapes and materials that I've never come across before and most recently. Idolescents for AW11 was a reimagination of all of the shoes that he wanted as a teenager but could never afford in addition to all of the ones that he could afford made better. With each season, Hare pushes it that bit more and August is no different. The collection is based on his favoured month of August and he draws on the colour, styles and inspirations that he encounters on his self-confessed one-month-a-year of glorious underachievement. For eleven months of the year he strives forward as Mr Hare but in August he takes great pleasure in a well deserved thirty one easy days. During this time he under achieves under the hot sun, he under achieves under the hot sun under no pressure to answer his phone. 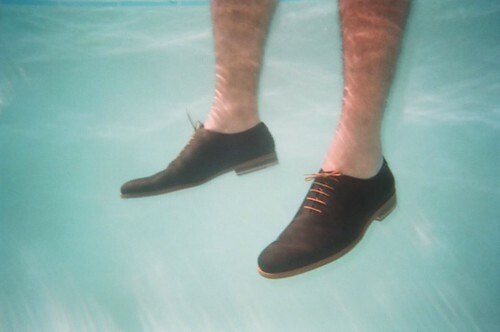 Occasionally he disturb the blissful lapping waters of under achievement by slipping into a pair of shoes that can only be justified in August and SS12 sees the unveiling of the shoes that he wants to wear during his down time. 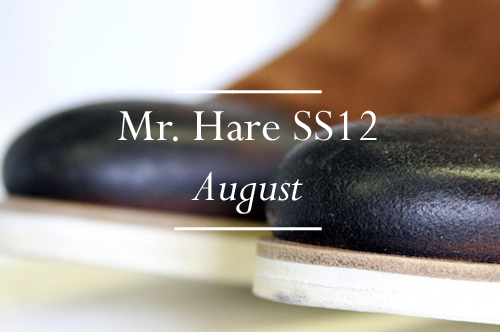 In essence, August is the application of Mr. Hare’s principles of male pedal elegance applied to casual high summer shoes. 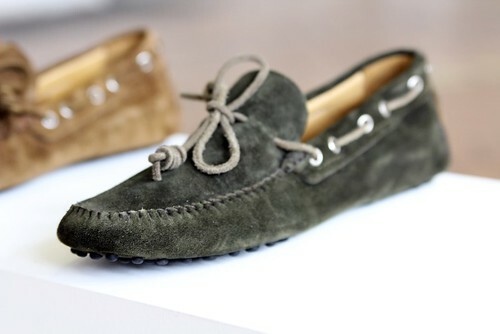 The sneaker, the classic inspired driving loafer and the oxford summer wedge make their debut appearances in more natural, more colourful, nubuck, suede and calfskin than Hare has ever used before. There is now a sense of a complete collection, a shoe wardrobe. The brief for Mr Hare. 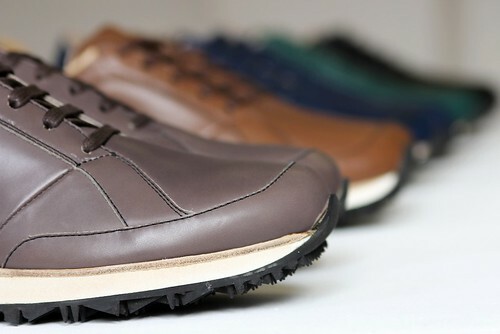 is a deceptively simple one, to create an option for every man, for any occasion with added Hare flair. 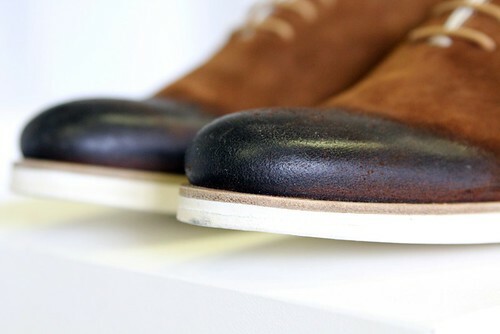 However, in addition to growing his offering, Hare still sits down every season and looks at how even his best selling models can be improved, refined and elevated to the next level. A new addition to the lineup, this is a classic, driver-inspired loafer that is named after and signed by its maker, Sergio. 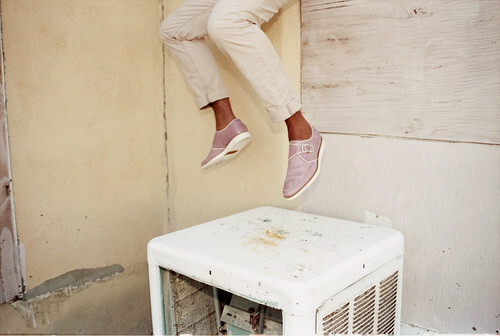 The Sir Coxsone 2.0 is a new style for this season, bringing together the brother creeper sole shape of the King Tubby and the refined upper of the Fela to create a stunning hybrid. I want them all. 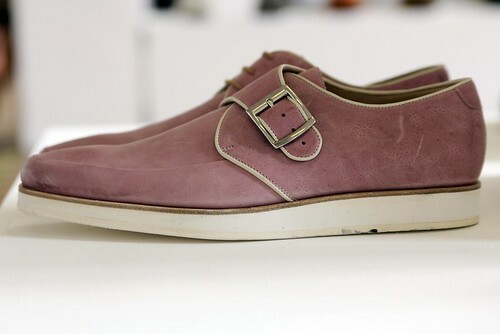 Named after one of the giants of American music, the Thelonius is an evolution of the KIng Tubby in to a monkstrap. 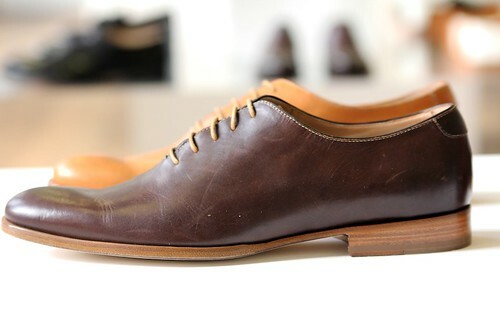 The washed out colour of the luxurious leather upper is a tribute to the ease of his favourite month. Beautifully sun drenched. 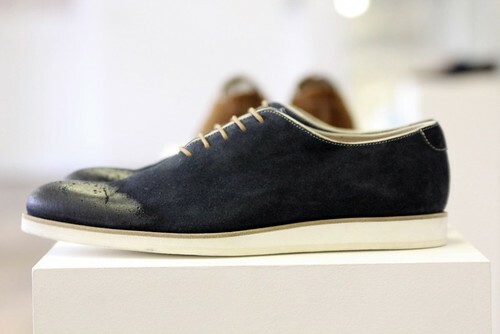 The Fela is a minimalist style designed without superfluous detail. 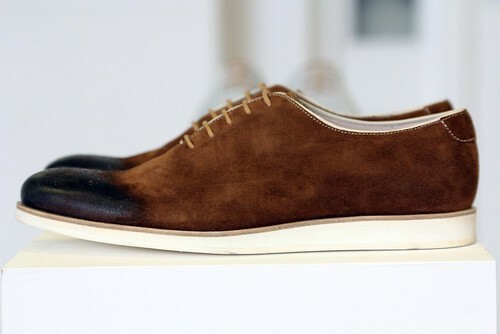 Instead, the focus in on the 'second skin' vegetable tanned vachetta leather. "I want to stay as close to the edge as I can without going over. Out on the edge you see all kinds of things you can't see from the center." This quote was uttered by science fiction writer Kurt Vonnegut who fittingly gives his name to Mr Hare's first foray in to sneaker design. These have long been bouncing around in the designer's head but the wait has been undoubtedly worth it. 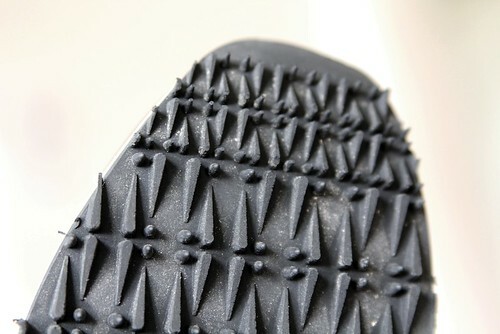 Also, check out the new logo that makes it on the sole. Leave your mark. "As well as being my favourite month August as an adjective means “Inspiring awe or admiration” “Dignified or Imposing”. The thesaurus offers, noble, great, kingly, grand, excellent, imposing, impressive, superb, distinguished, magnificent, glorious, splendid, elevated, eminent, majestic, dignified, regal, stately, high-ranking, monumental, solemn, lofty, and exalted. 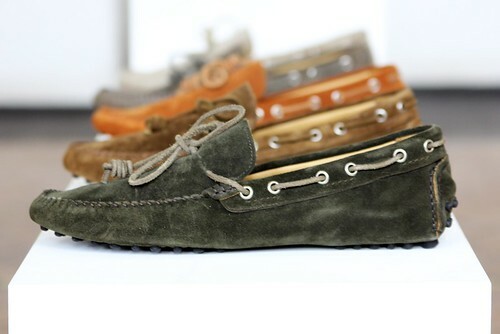 Exactly how I would describe the shoes I want to wear in August." 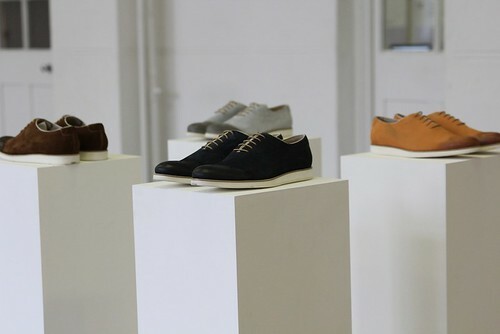 For Mr. Hare, the whole process is a learning experience for this shoe obsessive. In our first interview with the designer back in February 2009 which marked the launch of his debut collection, Hare conceded that his best work was yet to come. "Design is an ongoing process. You start somewhere and by constantly re examining that start point or imagining new start points you end up somewhere else." With August, Hare has arrived. Once again the designer proves that he can raise the bar each season whilst creating shoes that we fall head over heels for. Roll on Summer. 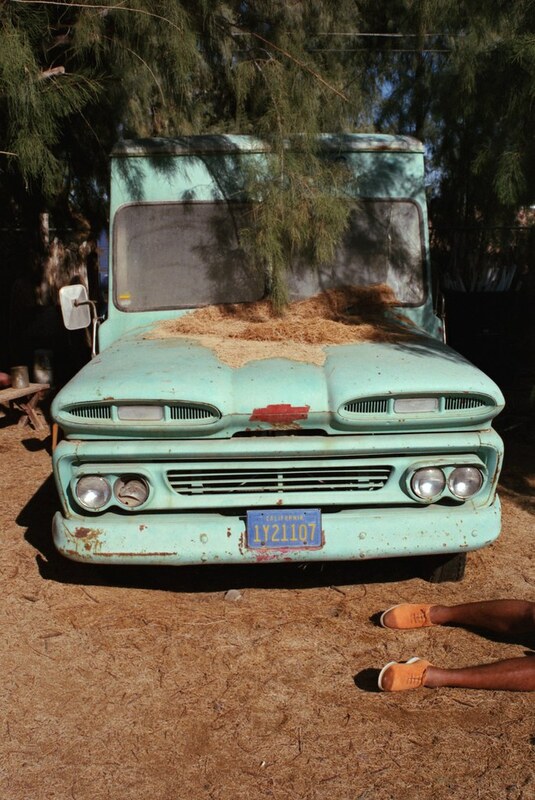 Love those lookbook images, the colours really start to create a story. Gawd, that really is a quintessential California photo shoot well done. 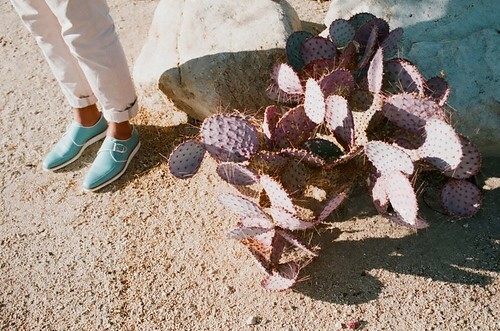 Those shoes are amazing, I want a pair! 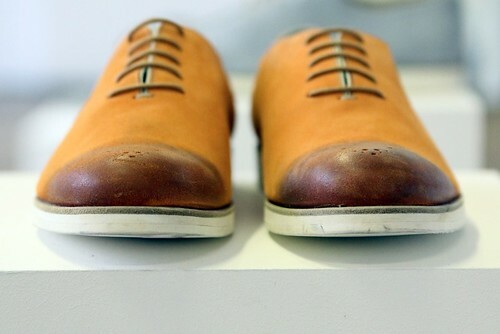 Style Salvage is blog about how men could (and do) dress. 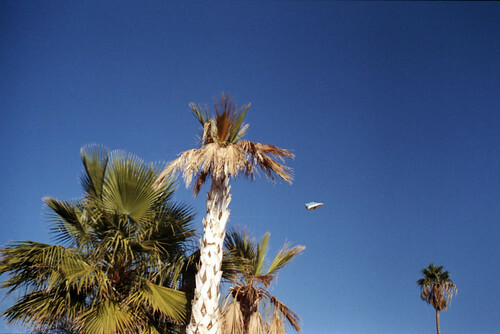 Started back in June 2007, the blog aims to showcase emerging and established design talent alike. It features style commentary, 7 day style diaries, interviews with designers, journalists and shop owners mixed in with the occasional personal style shot. 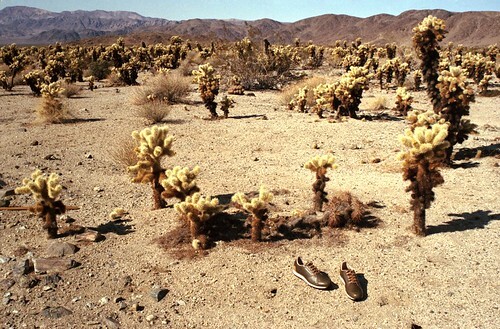 Mr. Hare AW12 Playlist from StyleSalvageSteve on 8tracks Radio. Most of the pictures on the blog are ours, unless credited otherwise. If you do use our photos, please credit us and link back. Our header image was created especially for us by the very talented Kate Wilson.